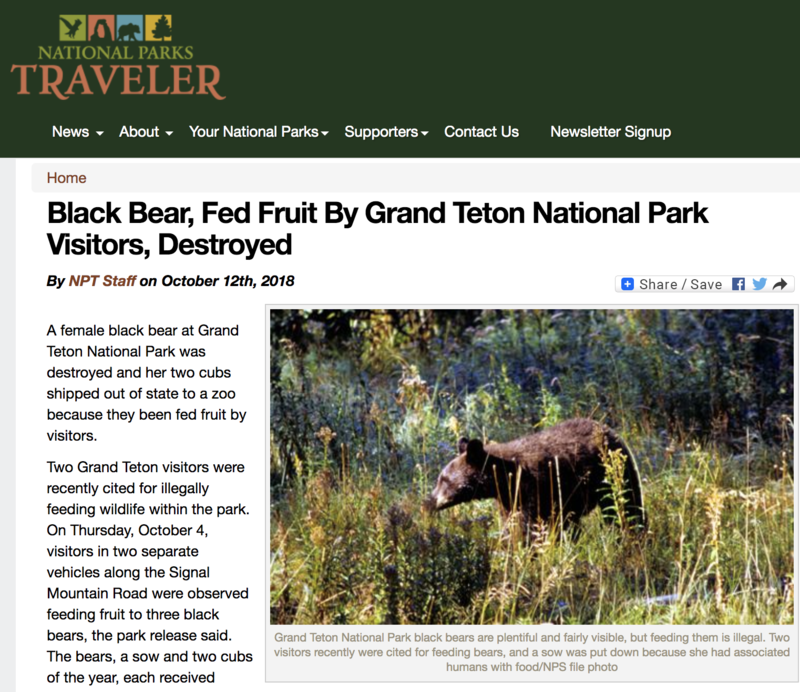 The attached article, from National Parks Traveler, shows what can happen when we feed bear. In this case, from the Grand Teton National Park, the mother bear had to be destroyed and the cubs are now in a zoo. Feeding bear is illegal, dangerous (to you and the next person the bear approaches seeking a handout), and can end poorly for the bear. Proper trash management and packing out garbage helps to increase the chances for natural bear encounters where humans and bear see each other from a respectful distance (maybe the human is fortunate enough to snap a picture) and the bear runs or walks away.